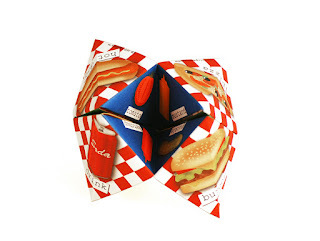 Let's talk about that quirky arts-and-craft fun fare called the cootie catcher. Books have been written about them. Parties have revolved around them. And, most importantly, predictions, often as silly as can be, have been made by them. For those of you not in the know, a cootie catcher is a form of origami, a simple piece of paper folded into a three-dimensional today. Sometimes, it is referred to as a fortune teller, chatterbox, salt cellar, scrunchie or whirlybird. They're generally used to predict the future (for fun, of course, not for real). To a cootie catcher, you put your fingers inside of the pockets and move your thumbs and forefingers back and forth, in and out, as you count or spell with the folded paper. 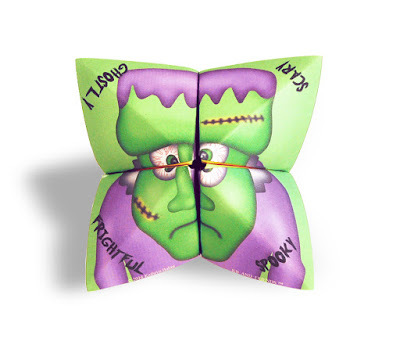 When you land on your final square, you unfold the cootie catcher to read your future. The origin of these folded paper objects is murky. Some say cootie catchers date back to 17th century Europe. The word cootie is believed to have come from the Malay word "kulu," which means dog tick. And the cootie catchers were once commonly used as a playground pastime by children who would use them to catch invisible "cooties" off their classmates. 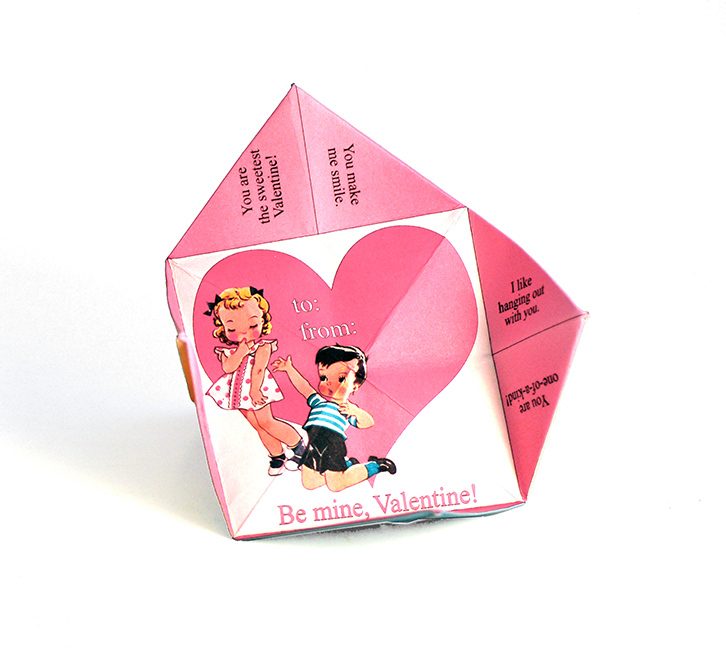 Cootie catchers today are still found on playgrounds, at recess and at slumber parties. Cootie catchers even make that long family car trip bearable. 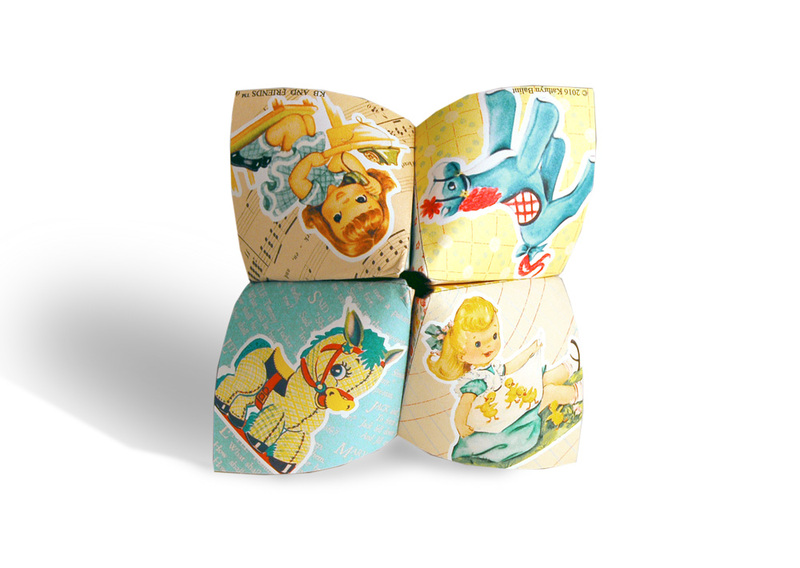 KB and Friends™ is adding its own whimsical, vintage style twist on cootie catchers. There are cootie catchers that serve as fortune tellers but also cootie catchers that can be used in lieu of birthday cards or Valentine's Day cards. KB and Friends even makes a cootie catcher that can be used as birthday party invitation. With KB and Friends' cootie catchers, all you do is download then print them. It's so easy! 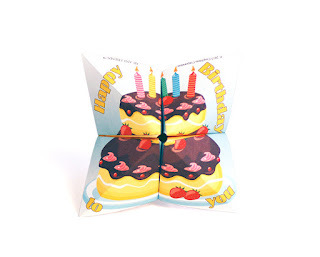 Even KB and Friends' editable birthday invitation in the shape of a cootie catcher is easy to use. You can use Adobe Acrobat Reader DC to customize the text of the invitation yourself. 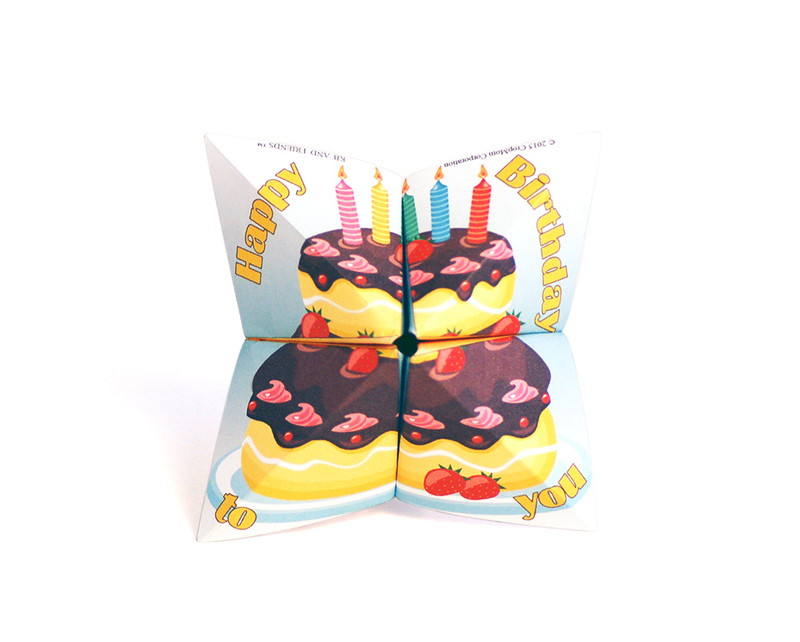 Cootie catchers make terrific party favors. Children will keep busy telling each others' fortunes with them. If you're having a Halloween party, pass out KB and Friends' Halloween cootie catchers to the costumed cuties attending the party.